Yes, they are busy, those bees. 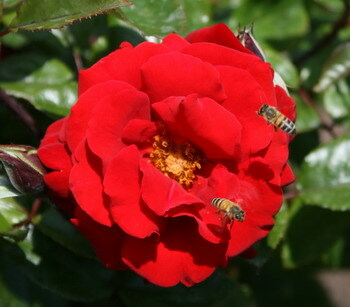 This one, with pollen basket already stuffed full, is still on the job for more. Now I can spend the afternoon trying to figure out the source of that pollen. Drat, I should have asked the bee. Such phabulous photos of roses. I love flower photos. 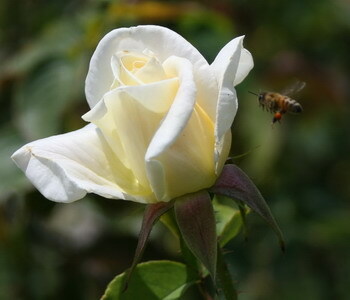 I will put up some more today or tomorrow from a visit to the Rose Garden here in Los Angeles.